Product Details- Suitable - Dogs and cats , Capacity-473 Gm. 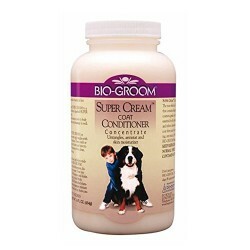 Product Information-Bio-Groom Super Cream Coat Concentrate This truly remarkable formula contains Wheat Germ Oil, Protein, Vitamin E, and other special ingredients that deep condition instantly, leaving the coat shiny and in top show condition. Super Cream moisturizes and revitalizes the skin to help prevent and relieve dryness and itching. It is great for dry, damaged hair. 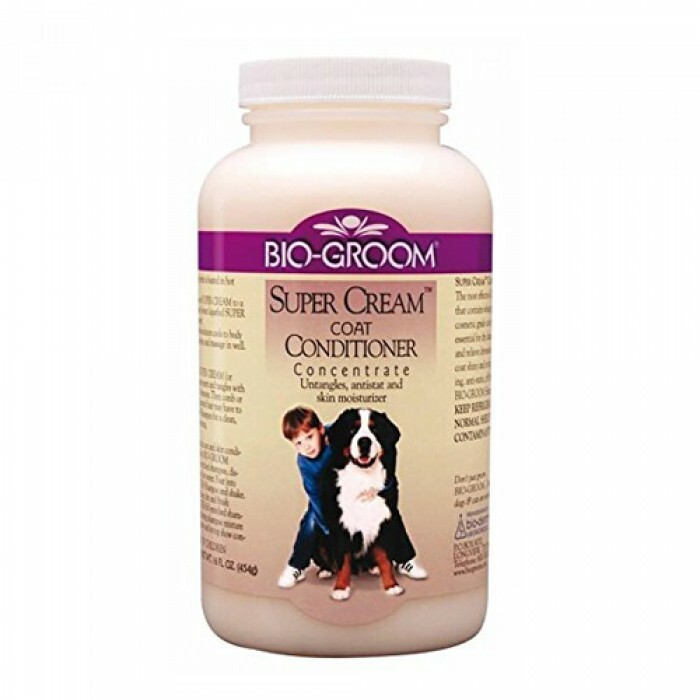 Super CreamTM is non-irritating, anti-static, and pH balanced to natural skin acidity. It washes out easily with Bio-Groom shampoo. Safe to Use with Topical Flea and Tick Treatments.